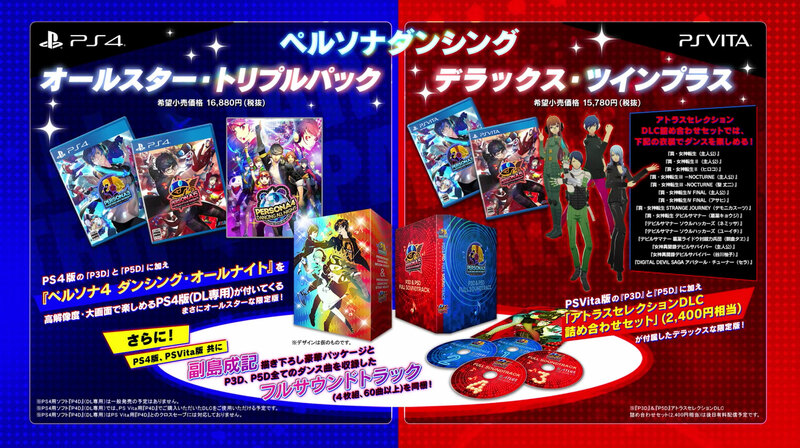 The First Trailers for ‘Persona 3’ & ‘Persona 5’ Dancing Night games are OUT! Plus, Persona Anime News! With 2018 almost upon us, there are many games that we’ve enjoyed this year, but that means even MORE releases to look forward to next year! There are even articles — like this one from Sports Betting Dime — published that discuss which anticipated new games are expected to sell really well in 2018, and I have a feeling that a few Atlus games will make that discussion. On Christmas Eve, Atlus held their Persona live stream, which was 75 minutes of awesome insanity that featured news about the upcoming Persona 5 anime, Blu-ray sets, the official canon name for the Persona 5 protagonist (you know, Joker), and the two upcoming Persona: Dancing Night game titles. Trust me, that stream was full of goofy-wackyness! Atlus showed off new trailers for both rhythm-action titles Persona 5: Dancing Star Night and Persona 3: Dancing Moon Night, which will feature remixes of popular series’ tracks, dances and numerous costumes. Both games are slated to be released in Japan May 24, 2018, and appear to have the same gameplay and features from Persona 4: Dancing All Night, which, by the way, is being re-released for PlayStation 4 as part of a trilogy boxset! The set, priced at ¥16,880, (approximately $150) contains physical copies of Moon and Star, a downloadable copy of All Night, exclusive costumes, and a four-disc, 60-song original sountrack. Also, all your DLC purchases from the PS Vita version of Dancing All Night will carry over to the PS4 re-release! In additional Persona news, the Persona 4 anime is getting yet ANOTHER re-release in Japan on April 11th, 2018 as a deluxe boxset featuring all 38 episodes on Blu-Ray, the original soundtrack, and new illustrations by artist Shigenori Soejima. Plus, Persona 5 the Animation wll start broadcasting in Japan April 2018, and Atlus announced that Joker’s canon name is “Ren Amamiya,” which differs from his name in the manga adaptation, “Akira Kurusu”. Previous Previous post: This Folding House by Architect Renato Vidal Can Be Built in SIX HOURS!